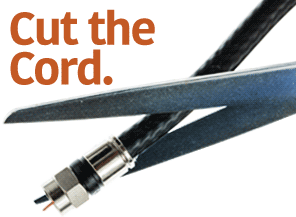 Limitless Innovations proud to be an Apple MFi Developer Licensee. 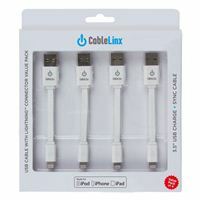 The Apple MFi Certified CableLinx USB Charge and Sync Cable with Lightning Connector Value Pack of (4) Cables are modern flat cables designed to be used with the ChargeHub, or any USB device. 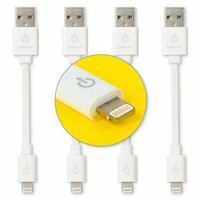 It can also sync (USB 2.0) via a computer, or laptop USB port. At only 3.5 in. long, it's a convenient size for use anywhere!